BATH, England - June 28, 2018 - PRLog -- The Spa & Bath House at The Royal Crescent Hotel is an award-winning spa designed to spoil guests and leave them feeling relaxed and refreshed. Through a combination of ancient and modern therapies based around the Five Element theory found in traditional Chinese medicine, therapists incorporate a guest's skin type, lifestyle, season, and environment to achieve optimal results. After being pampered in The Spa & Bath House, guests can continue their feeling of relaxation in the tranquil Taittinger Spa Garden, inspired by General Manager Jonathan R. Stapleton and crafted by Bath landscape designer Alison Jenkins in 2015. Wearing their fluffy robes, guests can sink into the comfortable seating to let the feelings of peace wash over them in the warm sunshine either pre- or post-treatment. The experience is enhanced with a light meal from the Spa Garden Menu, an indulgent Afternoon Tea, or a refreshing glass or bottle of Taittinger Champagne. A healthy Spa Garden Menu, designed by Executive Head Chef David Campbell, is available. Spa Services include six rooms for a range of rejuvenating and relaxing treatments that include facials, massages, and nail treatments. · Spiezia Organics Collection: Spiezia Touch Therapy Treatment, suitable for those diagnosed with and recovering from cancer, long-term illness or stress. · Additional treatments include: The Gentlemen's Collection facials, massages, manicures, and pedicures. Waxing, eyebrow shaping, eyelash and brow tinting are also available. Spa therapists work with luxurious holistic brands including Elemental Herbology as its primary partner brand. Made in England, with the purpose to help the face and body achieve an optimum state of health and vitality, Elemental Herbology products contain the highest-quality and responsibly-sourced ingredients free from artificial ingredients and preservatives. 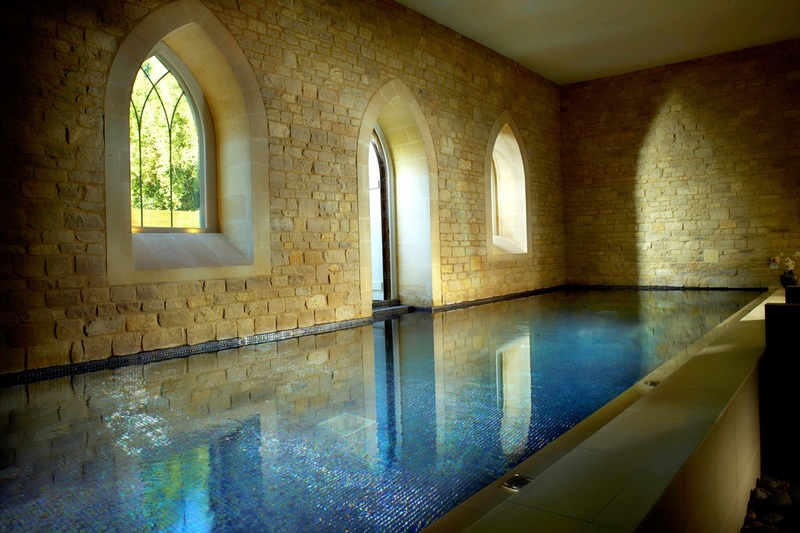 · Half Day Retreat – one hour Spa use, one hour treatment, and a two-course lunch or Afternoon Tea. · The Serene Day Retreat – one hour Spa use, two hour treatment, and a two-course lunch or Afternoon Tea. · The Romantic Hideaway – one hour Spa use, couple's massage, and a three-course dinner with a glass of Taittinger champagne. · Twilight Spa Retreat – one hour Spa use, one hour treatment, and a glass of Taittinger Champagne. Available for groups of up to 4 people. Guests can enhance their spa experience by selecting from a variety of dining options. · Champagne – A glass or bottle of Taittinger champagne, rosé or vintage, can be enjoyed in the Taittinger Spa Gardens, along with a variety of other beverages and juices. · Light Dining – A healthy Garden Spa Menu is available for a light meal in the Taittinger Spa Garden, with dishes like chilled gazpacho, superfood salads and fresh fruit salads. · Afternoon Tea – Guests can partake of Afternoon Tea with its savory delights and sweet indulgences in the Taittinger Spa Garden. Anyone can become a Spa Member and enjoy access to the five-star The Spa & Bath House facilities year round, plus discounts on Spa treatments, Spa products and dining, and Member events. Benefits vary by membership type. Memberships are for a 12-month period. Children under the age of 12 are not permitted to use the Spa, however, children between the ages of 12 and 18 are allowed to use the Relaxation Pool when accompanied by an adult. Thirty-minute facials and nail treatments are available to children ages 12 to 16 when accompanied by an adult. The Royal Crescent Hotel & Spa: naturally refreshing.